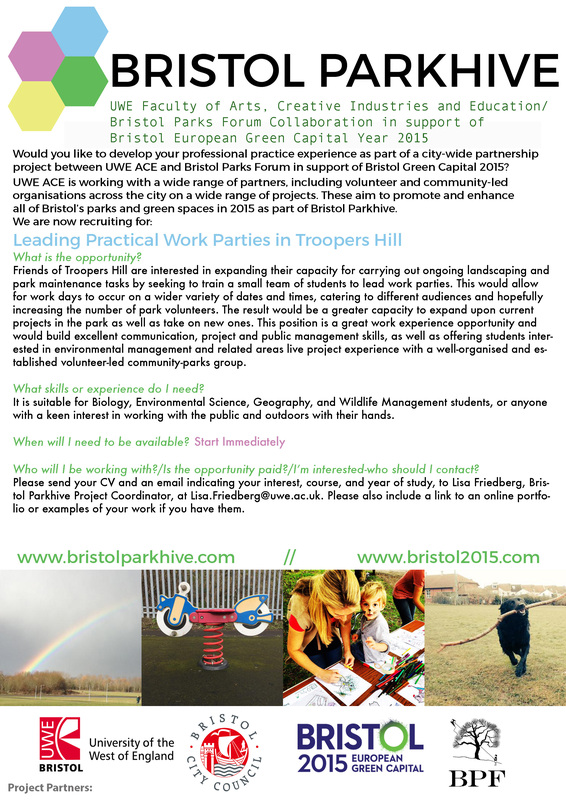 Friends of Troopers Hill are interested in expanding their capacity for carrying out ongoing landscaping and park maintenance tasks by seeking to train a small team of students to lead work parties. This would allow for work days on to occur on a wider variety of dates and times, catering to different audiences and hopefully increasing the number of park volunteers. The result would be a greater capacity to expand upon current projects in the park as well as take on new ones. This position is a great work experience opportunity and would build excellent communication, project and public management skills, as well as offering students interested in environmental management and related areas live project experience with a well-organised and established volunteer-led community-parks group. Suited for: Biology, Environmental Science, Geography, and Wildlife Management students, or anyone with a keen interest in working with the public and outdoors with their hands.